Even with the world title sealed we were treated to a fantastic race after a long wait for track action in Texas this weekend. With fans rightly disappointed to be locked out of FP3, which would potentially set the grid, only to sit in the stands waiting for a qualifying session that never came, they were rewarded for their patience with an action packed Sunday. Lewis Hamilton won a shootout with his teammate to seal his third crown after both Red Bulls and Sebastian Vettel had appeared to be in race winning positions. While the majority of the top ten deserve at least an honourable mention from Class of the Field, it is a pleasure to select the very best from a wacky race. As I have said in the past, Toro Rosso appear to be renting out space in this article as at least one of their drivers tends to put in a strong display, beyond the potential of the car and their maturity. If there’s one thing you could accuse the young pair of, it’s failing to put it all together on the same weekend but that wasn’t the case stateside. 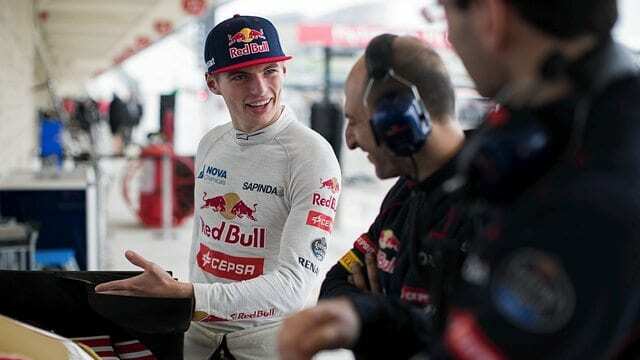 Verstappen and Sainz had very different outlooks ahead of the race after Sunday qualifying, as the Spaniard spun off in the rain in Q1 and had to start from the back of the field. Verstappen meanwhile did what all upcoming superstars do, excelling in wet and tricky conditions. He cruised through Q1 by over three seconds and then put in a great lap in Q2 to qualify in tenth as conditions deteriorated in a second session that ultimately set the grid. With both Ferraris taking penalties, Verstappen would start the race eighth, eyeing a potential podium if he had a little luck. Verstappen jumped up to seventh past Nico Hülkenberg at the start and was in a best of the rest pack behind the Mercedes and Red Bulls. As you would expect, Verstappen starred as the track dried, the changing surface creating a very awkward judgement call. Drivers had to guess when the track was ready for slicks with no reference data, with tyres that were well beyond their best. The Dutchman felt he could handle a few damp patches, pitting a lap earlier than most on lap 18, which crucially jumped him past Sergio Pérez, who was also eyeing an unlikely podium. The teenager opted, like most, for the option ‘soft’ tyres, as everyone felt another stop was needed. The key to Verstappen’s race came on lap 28 as Marcus Ericsson’s stationary Sauber brought out the Safety Car. Verstappen took the chance to make a second stop but fitted the option tyres once again; retaining track position in sixth (briefly jumping Vettel but the Ferrari had too much raw pace to be held back) but needing to do half the race on the softer of the two sets of tyres to secure a high points finish. After the safety car, as the Red Bulls struggled for grip on aging tyres, the youngster was just getting started. Nico Hülkenberg’s clash with Ricciardo spared his tyres briefly, Verstappen moving on to the podium as Rosberg pitted. With fresher tyres and a Mercedes power unit and chassis, the German breezed past but even on very worn tyres, Verstappen was never challenged from behind by Button, Alonso or Pérez and finished fourth comfortably to match his career best and bring 12 valuable points for Toro Rosso with his best drive of the season, regardless of result. But Max wasn’t the only rookie to star in the changeable conditions. 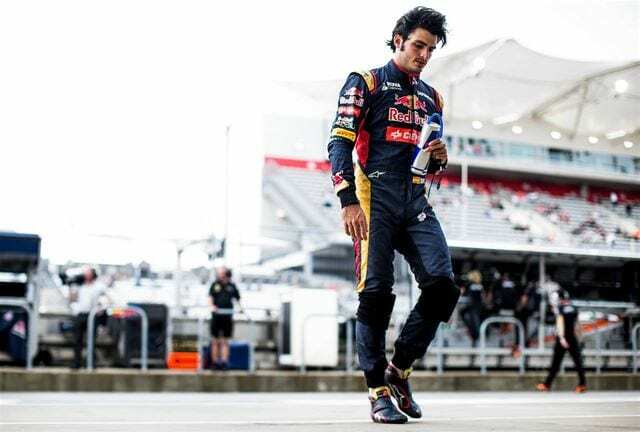 Teammate Sainz may have lowered his prospects when he collided with the wall on Sunday morning but put in a stellar drive in the race to finish seventh, securing Toro Rosso’s best result since Sebastian Vettel’s 2008 Monza victory. How did he do it? With a ballsy three stop strategy. His points finish owed a lot to a great opening lap as the Spaniard was up to tenth by the end of lap 2, taking a tight line at the first corner to avoid the melee. By the time he had changed onto the option tyres he was eighth on the road and in a racelong battle with the top end of the midfield. Like Verstappen, Sainz took the advantage to pit under the safety car for Ericsson’s stoppage but Toro Rosso split their strategy and went onto the primes with Sainz. Having got back up to eighth, the Spaniard’s grip was fading so he stopped for a third time as Daniil Kvyat brought out the safety car. With fresh, soft rubber, Sainz could attack and was able to move up past Maldonado, Button, (who had a 10 lap duel with him, eventually losing out over the last couple of laps) Ricciardo and an ailing Alonso to finish sixth on the road, falling behind Button after a penalty for pitlane speeding. When you consider how the Red Bulls looked like a fish out of water after the track dried, the juniors put them in the shade with impeccable composed drives. The result puts the Faenza team seventh in the Constructors’ championship, in with a real chance of beating Lotus to sixth. While the rookies looked like seasoned professionals, the most experienced man on the grid used all of his skills to earn his best result of the year, finishing sixth. As you would expect, Button starred in the wet, easing into Q2 by nearly two seconds. 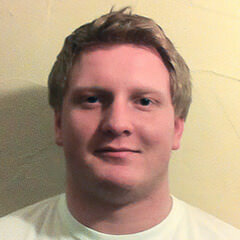 He couldn’t repeat the trick in the second session as the terrible conditions left him stuck in 14th. Having started 11th, Button leapt up to ninth on the first lap but couldn’t hold Räikkönen and Sainz back. Button was the first to have success on the slick tyres, pitting on lap 17 from 13th, having faded on overheating inters. The early stop moved Button back up to 10th and right in the thick of the action before an early second stop got the Brit past Sainz on lap 28 until Button pitted from fifth under the final Safety Car. Button needed the fresher tyres as the midfield cars remaining were left in a mad dash to the finish with a lot of points up for grabs. The Brit was involved in a battle with Sainz throughout the final stint, losing out to the Spaniard on the road but taking advantage of a 5 second penalty for Sainz, passing Ricciardo and Alonso in the closing stages. It seems Pérez had a relatively boring race given the conditions, finishing where he started, as once again he was the Force India to deliver when the stakes were high. A storming lap in Q2 put Pérez sixth behind only the Mercedes, Red Bulls and Vettel (who had an engine penalty coming) over a tenth ahead of his teammate in terrible conditions. Having got past Rosberg briefly at the start Sergio ran fifth through the first stint, clinging on to the top four as best he could. Problems at the first stop cost the Mexican dearly as he fell to ninth after a late swap to options. Pérez passed Sainz before stopping with the field under the Ericsson caution, fitting the medium tyres but unlike Sebastian Vettel, Pérez made them last for the whole of the second half of the race. 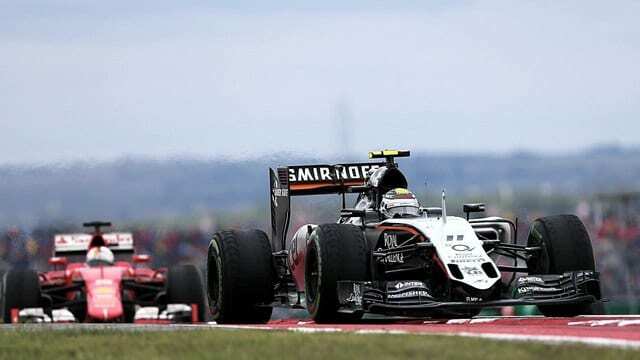 He passed the Mclarens and Red Bulls to finish fifth, desperately chasing down Sainz towards the end but running out of laps, eventually finishing 3.6 seconds ahead of former teammate Button, having put in a stellar afternoon’s work that saw him consolidate a very credible ninth in the drivers’ championship.